Gerald McKnight is the author of one my all-time favourite books, Breach of Trust: How the Warren Commission Failed the Nation and Why, which is, for my money, the best critique of the official investigation into JFK's death ever written. So I was quite excited to come across a copy of his hard to find (in the UK anyway) 1998 book, The Last Crusade: Martin Luther King Jr., the FBI, and the Poor People's Campaign. When I read the above, I found myself saying out loud, “Are you serious, Jerry?” because I just don't see how the man who wrote Breach of Trust could also be responsible for writing such unmitigated nonsense. There is, in my opinion, nothing about his argument that is reasonable or logical. Firstly, I have no idea how anyone could attempt to use Hoover's well-documented hateful campaign against Dr. King as some kind of “proof” that Hoover was not responsible for his murder. To me that's like saying you can rule out the KKK as having any involvement because they've spent a century persecuting African Americans and allegedly made numerous attempts on King's life! Seriously, does that make sense? Secondly, despite McKnight's claim, destroying the records of its campaign would not have removed the FBI from any list of suspects. Why? Because it was never a secret anyway. Officials of the Justice Department and everyone in the SCLC knew about the surveillance and wiretaps and Hoover had been feeding his “friends” in the press derogatory information about King for years. Hell, in 1964 he publicly called Dr. King “the most notorious liar in the country.” And because it was no secret, destroying records would actually have cast more suspicion on the FBI, not less. On top of that, Hoover never had to fear being investigated because he was always going to be the investigator. He would lead the Bureau's investigation down the lone nut path and, just as they had done with the Kennedy assassination, the mainstream media would dutifully play along. And once the fix was in, the cover-up became institutional and there was never going to be a “truly independent federal investigation”. Did anyone ever seriously believe that the HSCA would find the FBI responsible for the assassination? It was never gonna happen! Not even if the bullet that Killed King had Hoover's fingerprint on it. It was always going to be a case of the fox investigating the chicken coop and Hoover was smart enough and arrogant enough to know it. Finally, this stuff about conspiring with “parties outside the bureau”, which is presumably meant to dispel the notion of Memphis Police involvement, ignores the obvious fact that the director of the MPD, Frank Holloman, was a 25-year veteran of the FBI who, as McKnight admits, “was professionally close to Hoover, having served seven years as inspector in charge of the director's Washington office.” (p. 47) On top of that, key members of the MPD investigation like N.E. Zachary and Glynn King had attended the FBI academy. So just how far “outside the bureau” was the MPD? Not very. In fact, McKnight himself writes about their special relationship: “...relations between the FBI and the MPD resembled a textbook version of cooperation between local and federal law enforcement agencies. There appeared to be none of the instances of paranoia revolving around issues of control, refusal to share file resources, or attempts by the bureau to shoulder aside the local police and grab the headlines that historically marred relations between Hoover's agency and local police functionaries. Frank Holloman, the Memphis director of public safety, characterized this relationship as 'unique. '” (p. 46) How McKnight can provide these details and less than 40 pages later seem to completely ignore them is quite baffling to me. What do you think of Harold Weisberg's comment that he didn't think Hoover was behind MLK's assassination. I think he wrote this in Whoring with History. Have you read that? Yes, I have read Weisberg's manuscript, there's lots of great info in there but I don't specifically recall that comment. Did he give a reason why he felt that way? Like I said, it may well be that the FBI had nothinng to do with the assassination but you cannot dismiss them as suspects based on McKnight's arguments IMHO. What do you think? I will have to go back and check where I read that. He just seemed to believe, after all the massive amount of reading of FBI files and about Hoover in general that he wouldn't resort to assassination. I find Weisberg's analysis to be generally pretty good. I disagree with him on a few things about the JFK case, but not much on the MLK case. Did you ever talk to Weisberg? I spoke to him three times but only on the JFK case. Wish I'd had a chance to ask him some questions about how he and Lesar timed Judson Ghormley's actions after Dr. King was shot. I have been reading your posts on Education Forum about the King case. Nice job. I too have a lot of respect for Weisberg's knowledge of these cases although I frequently disagree with his opinions. Did you know he wrote a book in response to John Newman's "Oswald and the CIA" because he thought Newman was trying to lay the blame for the assassination at Castro's feet? Where did he get that from?! I'm afraid I never had the chance to talk to Weisberg which is a shame as I'm sure I could have learned a lot from him. As to whether or not Hoover would have resorted to assassination, we'll probably never know for certain. But the fact that he so badly wanted King out of the way that he tried to get him to commit suicide certainly gives me pause for thought. The FBI is on my list of suspects because of their behaviour before and after the assassination and I see no compelling reason to remove them. Yeah, I read the Newman book and Weisberg's book length response. It seemed like Weisberg was disappointed in Newman; had high hopes for his CIA and Oswald book and felt that Newman failed to live up to those expectations. He really was critical of Newman's analytical skills. When Newman was quoted in the 1995 story about Carver Gayton, Weisberg scoffed at it like it was old news that proved nothing (HW had much correspondence with James Gochenaur about Gayton's revelation that Hosty told him in the KC FBI office that Oswald was a paid informant.) Weisberg's commentary throughout his archives is that no one really proved Oswald was an agent for anyone. I think he worked on an Agent Oswald book idea. Bugliosi then latched on to this and used it in his book. But back to King, I agree with you about the suicide effort. Murder would be an extension of that desire. Whoever framed Ray killed Dr. King. It has to involve individuals connected with the man who manipulated his movements around the country. I don't know that the J.C. Hardin lead was fully developed. Have you read all the HW Arcive's files on him? I think its fairly well known that Wesiberg was kind of petty and jealous, especially later on. I mean, he fell out with almost everyone. He always wanted to be thought of as the first to have written this or that and seemed unable to accept the idea of parallel discovery. (Have you read John Kelin's "Praise From A Future Generation"? It's a great read and John's a great guy) So he unfairly (IMHO) criticized everyone from John Newman to Bill Pepper to Michael Kurtz to Mark Lane - all people with faults but nonetheless worthy of respect. As to the Hardin stuff, no I'm afraid I haven't studied those files. Y'know, the Weisberg online archive has been down for weeks and I've really been wanting to use it. It's getting pretty frustrating. I forget, does Weisberg discuss Hardin in Whoring With History? I just used the Archive yesterday. I have noticed I can't use it at home, though. I get a Fedora Test Page. Weisberg was often willing to offer praise. Some examples: when I talked with him the first time in 1986 about the Stevens Point seminar on the JFK and MLK assassinations he was effusive in his praise of Howard Roffman's work. At that 1976 conference he couldn't say enough good things about Les Payne and his work on the King case and it is also evident in the files on the Archive. You are right about Pepper, Kurtz and Lane. With regard to Kurtz he told me Kurtz's 1982 book on the JFK was a combination of "thievery and crap". Kurtz really battled Wrone through the University of Kansas editor to force changes to his 2003 Z film book (wish they'd have changed Dr. Wrone's mind about the man in the doorway who is clearly Lovelady). Yes, Hardin is in Whoring with History. I think his real name was Ashmore. I first heard the reference to him probably in that 1993 Unsolved Mysteries documentary hosted by Robert Stack. Weisberg seemed to suggest that Hardin may have been involved in moving Ray around, especially toward Memphis. If you look in Ch. 20 of Whoring pp. 327-331 Weisberg talks about an FBI SA John Hartingh informing him that Hardin was in fact a symbol informer for the FBI. More discussion on pp. 419-419, then Weisberg gives the man's real name as James Wilbourne Ashmore on page 433, more discussion following through page 435. Weird that you've been able to use the archive. I always get the fedora test page. Don't know what's going on there. I've got Whoring with History saved so I'll check out that stuff about Hardin. I wonder what Weisberg would have made of Wexler and Hancock's book. I've written a 17-page review that should be up on the CTKA website soon. I actually relied quite a bit on Whoring with History when writing it. Have you read the Wexler/hancock book? I'd be interested to know what you made of it. I contacted the webmaster at Hood and I contacted my internet service provider. My provider seemed to suggest that my use of a wireless modem is the cause because as he was talking to me and I looked at the Fedora Test Page, he was on line looking at the Weisber home page. There are two other places (different provider, not wireless) I can get on the archive, so it is up and running. You can also read about Hardin in the Weisberg Archive under that name in the Weisberg Subject Index files. I think they have the initials wrong, JG instead of JC Hardin. Yes, I am looking forward to reading your review. I always enjoy your insights into both of these cases. Amazingly, it is hard to find sensible analysis grounded in the documentary evidentiary base. Some of the discussions on Education Forum...well, I can see why you left. I haven't read the W/H book, yet. I read a lot about it and previewable sections on line. They've obviously done quite a bit of research on the background to the case and put in a lot time analyzing these files. I was curious to see how they dealt with the evidence presented in the 1974 Ray v. Rose hearing. The window sill FBI report, or the criminalist, Herbert MacDonnell, who laughed about the position the shooter would have to be in (inside the wall) to shoot at the necessary angle with the rifle positioned from the dent (which wasn't a dent caused by the rifle). And there is always the fact that there is no official FBI report on whether Ray's rifle was ever fired, as you know. FOIA required searches never found it. I think in 2012 if you're not clear that Ray did not kill King, you are just ignoring official crime scene evidence or shaping it to conform to an unsupportable opinion (a Proctrustean Bed). So, there's no reason to write with a scholarly approach and leave it unclear. The picture that Weisberg painted of Ray just doesn't connect with his association to any of these racist groups and individuals they discuss. I am wondering how to reconcile what witnesses like Jowers and McGraw told Weisberg and testified to under oath in 1974 with what they later told Pepper in the early 90s. I'm saving direct comment until my review is out but I'll just say that I suspect you're really NOT going to like The Awful Grace of God beacause it's pretty much the exact opposite of what I think we'd both like it to be. Yep, the Jowers confession is quite a mystery. There are plenty of good reasons to dismiss it as a money-making scam or a hoax. 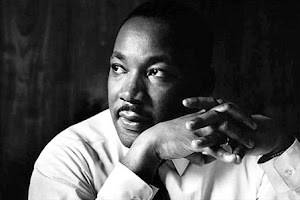 But it's hard to believe that, if it was all made up, he would sit down with family and friends of Dr. King and give them a very detailed account. I mean, can you imagine sitting down with someone and telling him how you played a part in the murder of his father if wasn't true? I guess there are all kinds of sick people in the world but its still hard for me to fathom. I really wish I knew what to believe about all of that. The first thing my provider said was, Do you have a wireless connection? He said I needed to get a new wireless receiver. I said, no, not an option. Then my wife, who is the techie, talked with the guy and they said, well it's a firewall issue. They looked into that: no success. They said, we'll work on it from our end and keep you posted. That was two days ago. Re your comments about Jowers, I hear what you are saying. I have responded similarly when pondering this aspect of the case. And, reading Weisberg's many comments in the Archive it puzzled him that Jowers was making these later claims. I have my suspicions about why he thought this which I won't now list. At any rate, I'm looking forward to reading your review of the book. I always enjoy reading good analyses of the MLK case. Thanks, I've emailed the webmaster. Hope I can get it sorted. Once my review is up at CTKA I'll post it (or a link) here so that anyone interested can share their views. I welcome your comments and criticisms. Did you listen to the Charlie Stein deathbed conversation from 2003? Thanks, I'd never come across that before. It's a little hard for my British ears to understand but he sounds pretty crazy I must say! Just gave your book review a quick read. Looks really good. Nice job.